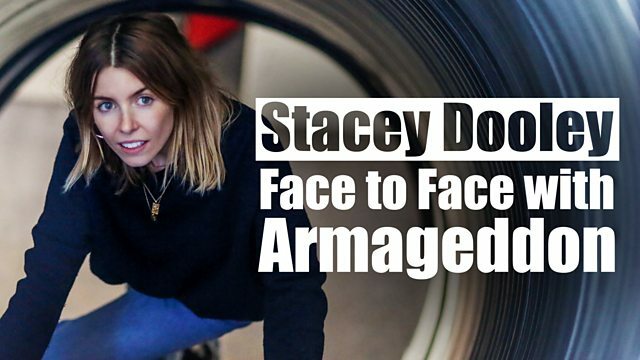 Stacey travels to America to meet people prepping for an uncertain future, all with different concerns - from climate change and natural disasters to civil unrest. Should we all be making plans for the end of the world? In America, a movement of people called preppers are doing all they can to make sure they survive global disaster. Stacey spends time with three prepper communities who are gearing up for uncertain futures, with concerns ranging from civil unrest and nuclear war to climate change and natural disasters. Some have bought bunkers to escape to, others have isolated themselves from society. Stacey explores the reasons why they are going to such lengths to protect themselves. And she asks - should I be following their lead?